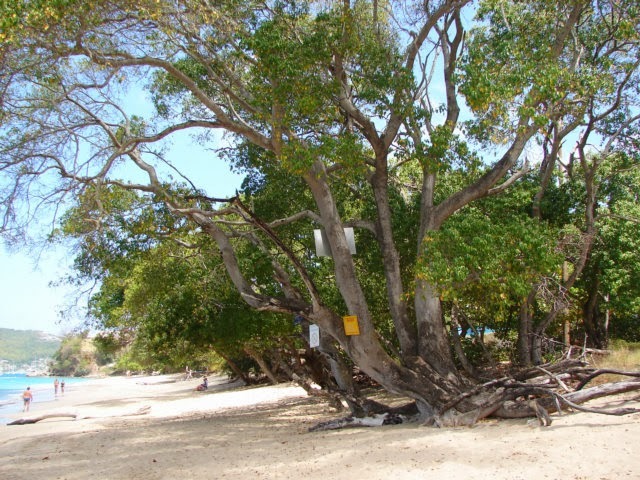 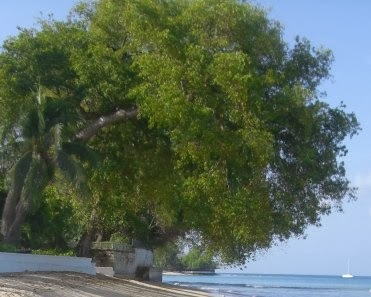 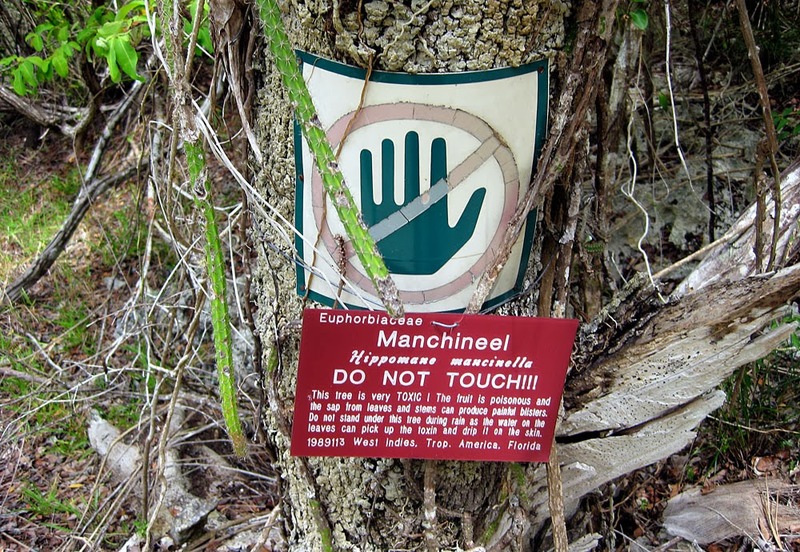 The manchineel tree, Hippomane mancinella, is a species of flowering plant in the spurge family (Euphorbiaceae), and the only species in the monotypic genus Hippomane. 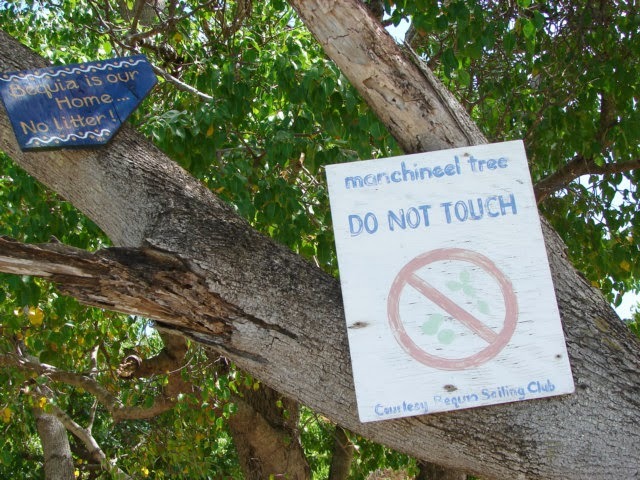 Manchineel is native to Florida in the United States, the Bahamas, the Caribbean, Central America, and northern South America. 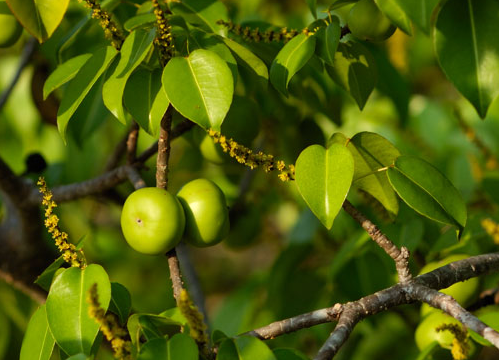 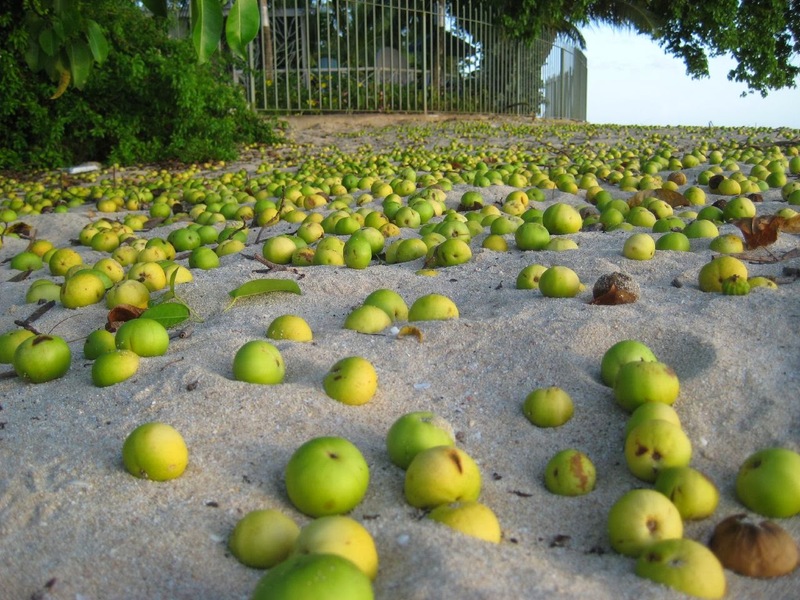 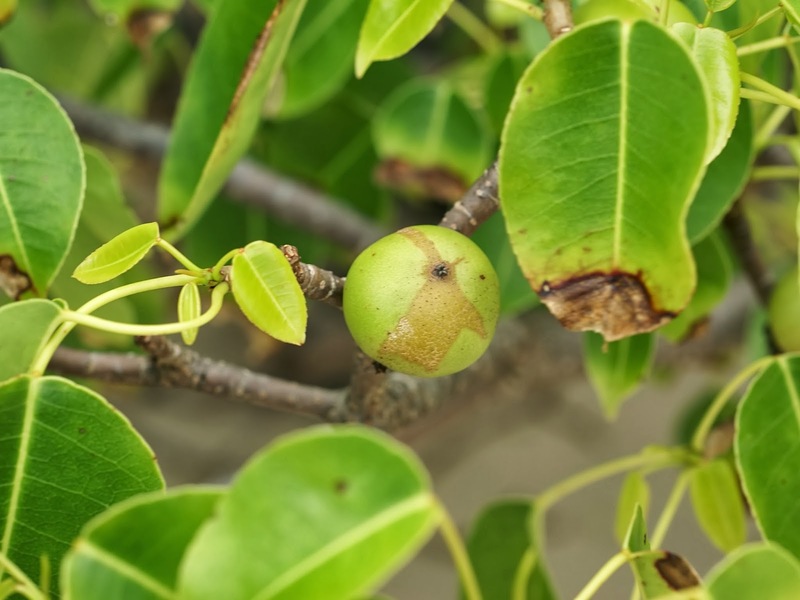 The name "manchineel" (sometimes written "manchioneel") as well as the specific epithet mancinella is from Spanish manzanilla ("little apple"), from the superficial resemblance of its fruit and leaves to those of an apple tree. 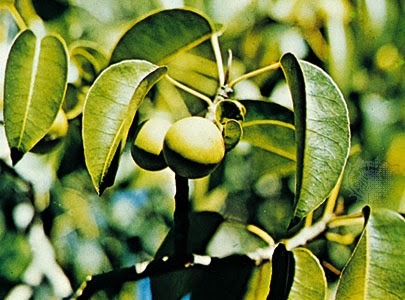 A present-day Spanish name is in fact manzanilla de la muerte, "little apple of death". 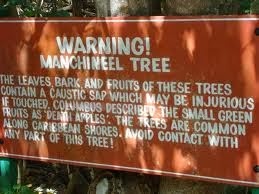 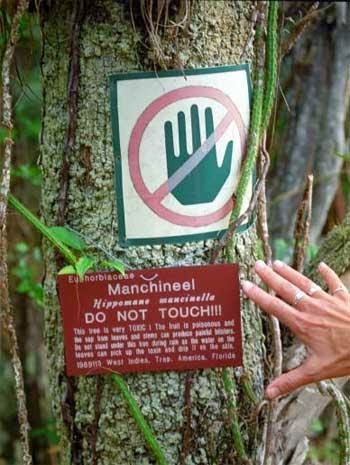 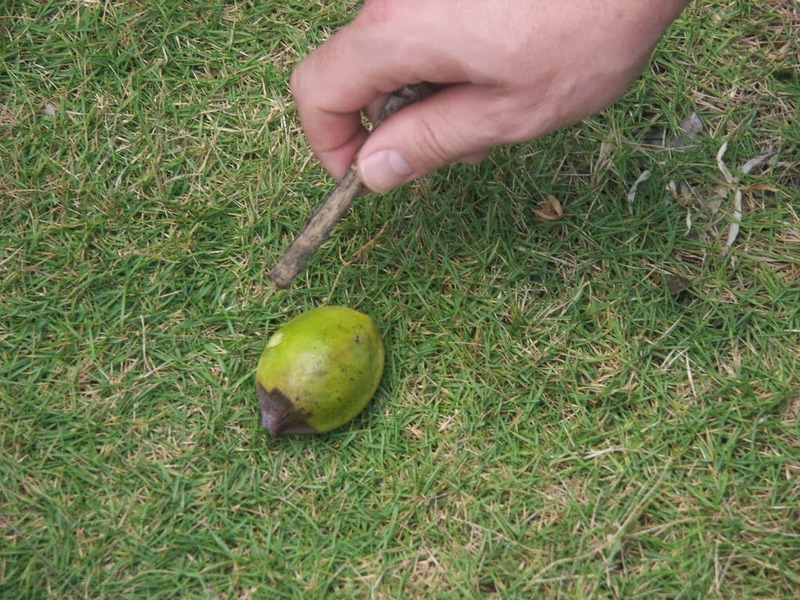 This refers to the fact that manchineel is one of the most poisonous trees in the world. 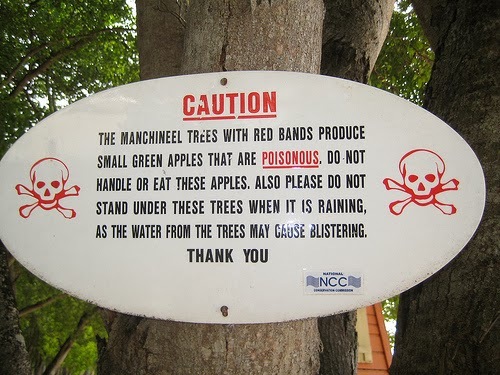 Could this be the forbidden tree of life from the bible? 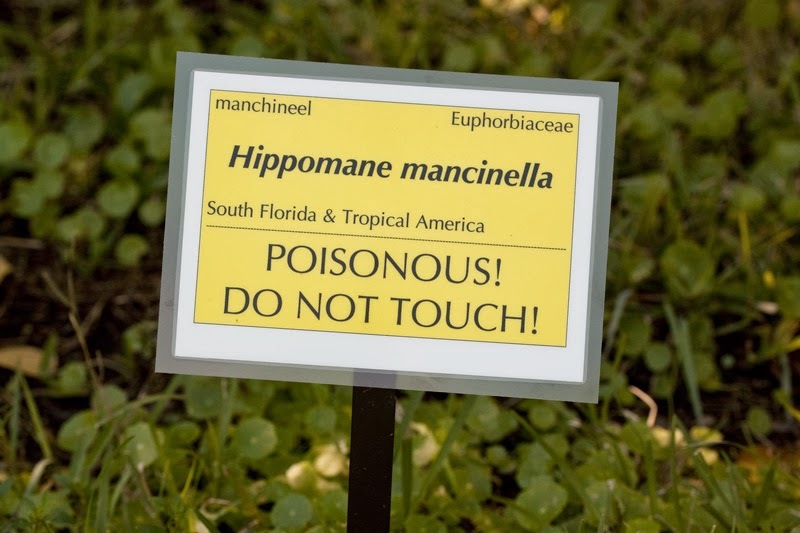 Maybe it became poisoned after Adam and Eve ate from it, as part of their punishment and as a curse to anyone else who ever tried to eat from it!